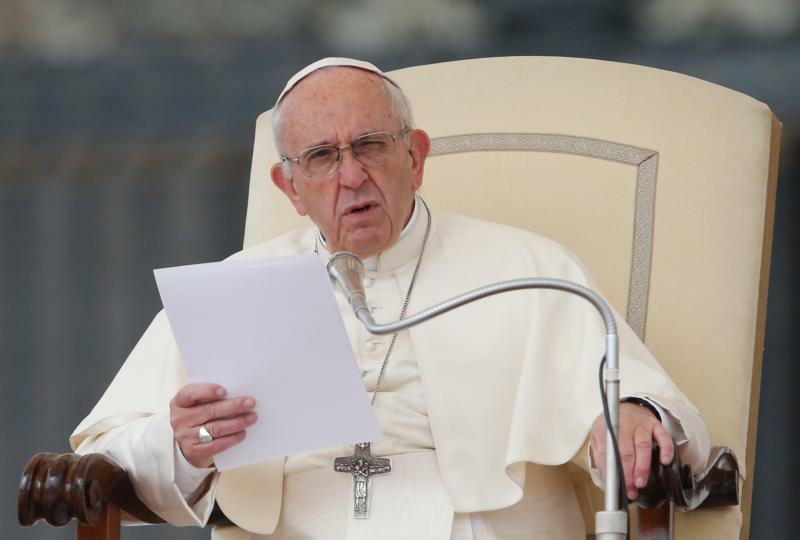 VATICAN CITY (CNS) — The Pharisees and doctors of the law who claim salvation comes only from fulfilling God’s laws are not just biblical figures of the past, Pope Francis said. “There are many of them today, too. That is why praying for us priests is necessary,” so that today’s ministers will not close the door like the Pharisees did to people seeking God’s mercy and forgiveness, he said in his homily Oct. 19 during morning Mass at the Domus Sanctae Marthae. The pope reflected on the day’s first reading from St. Paul’s Letter to the Romans (3:21-30), in which the apostle explains only God is righteous and people are justified freely by his grace through Christ; people are justified by faith, not by works of the law. One example of what it looks like when a priest takes away “the key of knowledge” and “closes the door,” the pope said, is when a priest refuses to baptize the child of an unwed mother or a mother not married in the church. Just a few months ago, the pope said, he heard of a priest who demanded a father not be present at his child’s baptism ceremony because he had been divorced. For doctors of the law, the pope said, God is not a God of revelation — a God who began a journey and walks with his people starting with Abraham. All priests have a responsibility to never lose or take away “the key of knowledge” and to never shut the door to themselves and others, he said.